Hey, hello and hi, everyone! In this week’s “Divas”, the Bellas get booed AND in “The Bonus Ball”, I get all comment-y about commentators. Now, to be fair…this wasn’t an out-and-out suckfest like the disastrous Nashville affair of weeks past; but given that it was our last true 180-minute teaser for the final pay-per-view of the year, it was pretty weak sauce…UNTIL(! )–as CB notes–those final glorious moments. So many narrative threads were cast, teased, mangled and kicked in the face, and I loved every second of it. Triple H attempts to monologue about the prestige of the WWE and World Heavyweight Championships, but is roundly drowned out by the cacophonous “YES!” and “DANIEL BRYAN!” chants of the Seattle crowd. John Cena cuts his best promo in quite a while, reiterating his (arguably accurate) belief that Randy has become complacent, lazy and spoiled over the past eleven years; and even pulls the crowd-demanded Daniel Bryan in to prove what hard work and perseverance can accomplish. Randy mumbles something vaguely pompous and heelish and then punching happens. CM Punk takes a shot at Randy Orton. Triple H pulls Punk off of Randy and tosses him aside. Punk takes a few shots at The Game. Shawn Michaels hits Punk with Sweet Chin Music. Daniel hits HBK with the running knee. Orton attempts an RKO on Daniel who counters by shoving Randy away…directly into Stephanie McMahon. An enraged Triple H Pedigrees Randy. The Authority, Kane and Cena check on Stephanie and then gather in a corner, staring at a prone and out-of-breath Randy in the opposite corner. The crowd is still chanting “YES!” and/or “DANIEL BRYAN!”. Fade out. So much to say, and–as I write this–many already have. First, I’ll take a moment to mourn my undeniably dynamite booking plan from last week’s column (although it’s still not entirely impossible…just highly unlikely). I simply yearn for the serpentine elaborate plots of my youth and what can I say?–I dig the cut of my own jib sometimes. With that out of the way, let’s just think about everything that list up there suggests. CM Punk is still a factor in the big picture. Daniel Bryan will clearly have his day soon enough, and (as an added bonus) got some long overdue revenge on his former mentor HBK. Randy’s ego has clearly grown larger than even The Authority can handle; to the point of possibly aligning themselves with his opponent. John Cena is still John Cena. To put it shortly, there’s a lot of places this show can go after TLC this Sunday. However, I can’t stop thinking about the suggested conclusion column reader Starcade left a few weeks past; particularly after seeing the elaborate mechanism on which the two belts will be suspended. In the brief (but effective) lead-up to this historic match, there’s been so much pomp and circumstance; from the contract signing to this past Monday’s overdramatically-titled “Championship Ascension Ceremony”. A lot of images and ideas are being exhausted in the pursuit of telling the audience that there can be only one champion at the end of this Sunday’s pay-per-view. Could WWE truly be oblivious enough to think that ending the match by simply swapping the belts won’t cause a bit of fuss amongst the fans? Or will we honest-to-your-chosen-deity, no joke, for realsies go into 2014 with a single, end-all, be-all best-of-the-best champion? I can’t get these questions out of my mind; and to be honest, I have no potential answers for you. All I can do to conclude this week’s “Guys” portion is throw out the following speculation. Simple. Tasteful. Elegant–hey, wait! What’s that pointy thing up top?! Indeed, the sharp double-W we’ve seen acompanying countless premature announcements for the allegedly still-upcoming WWE Network has finally made its way to a tangible part of the WWE Universe. Naturally, speculation has run rampant as to when or if the new logo will at (arguably) long last replace the “scratch” design that has defined our favorite former Federation for almost two decades. Some say that the recent WWE Championship redesign is still too hot off the presses to undergo such a drastic brand overhaul, but with a title unification in the offing, one certainly wonders…and look, I know this is purely cosmetic and the majority of wrestling fans don’t really care enough to gasm about newfangled iconography…but hey, look! SHINY NEW THING! Let’s be real. The validity of any fan-interactive shenanigan in the WWE Universe is always suspect. Naturally, the award I kept the closest eye on was the announcement of the 2013 Diva of the Year. When voting time came, I was thoroughly conflicted, but almost by default decided to give the duke to my spirit animal AJ Lee. For while others have made great strides this year, the Divas Champion remains the centerpiece–nay, life force–of the division. When the envelope was finally opened (by cameoing former Divas Champion Eve Torres), I was pleased yet thoroughly puzzled at the announcement that “Total Divas” stars The Bella Twins were walking away with this year’s golden…guy press slamming another guy. For the Seattle crowd that puzzlement quickly turned to rage, as the future Mrs. Daniel Bryan and John Cena were soundly booed off the stage, and even played off to their own theme. Now, as has been noted here at “Guys and Divas”, 2013 has been an eye-opening year for me as it pertains to Brie and Nikki. I remember very clearly groaning as they returned to the fold shortly before Wrestlemania earlier this year. Over the past nine months or so, I’ve really come to appreciate these sisters for who they are as people; and as luck would have it, the popularity of their E! reality show has helped bring personality and humanity to their kayfabe personas, as well. In short, they certainly wouldn’t have been my first choice, but I can live with this. AJ LEE – What can be said that I haven’t already gushed onto my Twitter feed and this column over the past eleven weeks?–She’s the Divas’ Champion for a reason; with the strongest character and the most visually-arresting moveset, my spirit animal is the total package. THE FUNKADACTYLS – While I would argue that Naomi alone deserved this nomination, the backup dancers-turned-“Total Divas” have had a truly notable year. Naomi continues to impress in competition, with a memorable bout against Natalya last August still keeping the internet talking. Cameron…well, she’s certainly got personality to burn, now doesn’t she? NATALYA – In truth, the rightful winner. For years, the daughter of the Anvil has been the athletic heart of the Divas division; but with her newfound reality TV exposure and an upcoming (long-overdue) Divas Championship bout at this Sunday’s TLC pay-per-view, she’s arguably the uncrowned queen of WWE. KAITLYN – No Diva makes me swoon quite like her. As the second half of this year’s strongest storyline in the division, she’s more than earned this nomination. Her disappearing act of late may have taken her off the radar a bit; but as a recent WWE.com poll shows, the fans are still waiting for her to get her hands on her former best friend one more time. In the hearts and minds of many, the second-billed Diva; which is nothing to sneer at. EVA MARIE – …Sigh. …Okay. I’ll say this. While I heartily and sincerely dislike this girl, it’s clear that she’s developing quite the name for herself (despite BARELY having competed). I don’t think I’ve heard such strong heel heat for a Diva since…well, Vickie. If she could add a modicum of in-ring skill to that, maybe we’d really have something. In truth, The Slammy Awards are nothing to get too worked up about. They’re merely a sort of annual status update for the kayfabe world of WWE; and while I may somewhat understand Seattle’s disappointment with this year’s Diva(s) of choice, it’s undeniable that all (okay, most) of these talented women have had one hell of a 12 months. The division is on the rise, and I can’t wait to see what 2014 holds for my favorite female protagonists. Weeks ago, in preparation for the most recent edition of “Wayback Championship Wrestling Federation Entertainment”, I took a walk down memory lane with a look at the first three Survivor Series of my life as a wrestling fan. Ever since then, I’ve been a bit obsessed with revisiting the pay-per-view events that have signposted the major events of the past 15+ years of WWE action. During these revisits, I’ve been quite taken with how much the show has changed over the years; how the characters have toned down a bit, the storylines tamed, the production values exploded, etc. However, something that has really struck me in my more recent viewings has been how a show can truly be affected by the men and women calling the action. As I ruminated on this topic, I started to think about how the role of the commentator has changed since I started watching WWE back in 1998. As it happened, my first team were arguably the best duo to ever sit behind the desk, Jim Ross and Jerry “The King” Lawler. Nobody did it better and I don’t think anyone ever will. However, the J.R. and King of 1998 are stylistically almost unrecognizable compared to when they last shared the announce position (alongside JBL) this past January. In 1998, The King was firmly in the corner of the heels; always scrambling to justify their actions, no matter how heinous. J.R., ever the voice of reason, was the everyman; the viewer; the true host of this bizarre thing called sports entertainment. Perhaps the most remarkable thing about this legendary duo at the time however was their commitment to the show. Rarely if ever did either Jerry or Good Ol’ J.R. break kayfabe. The events they and we saw unfold were as real as it got, no matter how insane or cartoonish. They were as much a part of the wacky cast of personas on the screen as “Stone Cold” Steve Austin and the Undertaker (at his most gothic and supernatural). True, sometimes real life made its presence felt. I know there are many of us who will never forget the shock of watching Jim Ross somberly announce that Owen Hart had died before his very eyes. In many ways, the horrific accident that claimed the life of the future Hall of Famer in the spring of 1999 was the first time we the viewers were forced to truly face the fictional nature of this show we so love and how starkly it contrasts with the harshness of reality. Surprisingly though, the fiction of the WWE Universe was pretty resilient; and as years went on and names like Paul Heyman, Jonathan Coachman and Joey Styles shuffled in and out of the booth, the kayfabe aspect of their roles remained as strong as ever. As with many things, a marked change seemed to arrive with the 2009 decision to lower the content rating of WWE programming from TV-14 to TV-PG. The commentators seemed to be a bit more self-aware; a bit more open to the idea that they resided in a fictional universe. I would contend that such changes have had a tremendous detrimental effect on the overall atmosphere of WWE television. It’s just a bit more difficult to emote and react to the actions of dastardly villains, triumphant heroes and those who fall in-between in a time when the folks calling the action have subdued so incredibly much. It’s as though the current team of Michael Cole, Jerry Lawler and John “Bradshaw” Layfield have become as jaded as so many of us to the white-washed repetitiveness that plays out before them. Meanwhile, over on Spike TV’s TNA Impact Wrestling, “The Professor” Mike Tenay and Taz are very much living in the fictional universe that surrounds them. During my brief tenure as a viewer of WWE’s biggest non-MMA competitor last year, they were one facet of the show about which I simply could not complain. No matter how ridiculous things got (and if you do the math, you’ll note I was watching during the nascent days of Joseph Park and the dreadful AJ Styles/Claire Lynch storyline), Taz and Tenay were–if you’ll pardon a colloquialism–dealing with some real sh!t; and as a viewer, I found myself gripped to even the most unwatchable moments. As wrestling pundits, we focus our dissatisfaction with the WWE product on so many facets; the creative team, production design, the superstars and Divas themselves…but just ask yourself: how much easier would the missteps and weaker moments go down with a committed team of voices talking us through it all?–I for one would have a lot fewer reasons to grouse…for a little while, at least. …and as that stream of consciousness enters calm waters, this week’s “Guys and Divas” comes to a close. 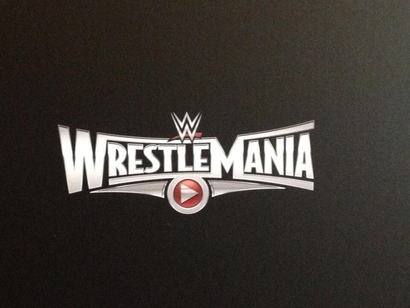 The Wrestlemania 31 logo got many of us wondering if WWE’s headed for a major cosmetic overhaul. What would you change about the look of our favorite brand of sports entertainment? How about some nostalgia? What have been some of your favorite logo designs, set designs, etc. over the now-50-year history of the McMahon family business?–Vociferate on visual changes. Debate rages on the validity of this year’s Slammy Award-winning Divas. Who would you have voted for? For our NXT fans, who stands out as the yellow brand’s Diva of 2013?–Lay out your thoughts on the best ladies of the year that was. For many, Jim Ross and Jerry Lawler are THE WWE commentary team. Who are some of your favorite personalities who have sat at the desk over the years? Any favorite moments from the voices of professional wrestling?–Talk it up about the folks who talk it up. As always, don’t miss my weekly Raw live-tweet (@biscuitman18; #GuysAndDivas) and stay tuned in the coming weeks for some exciting news about the future of “Guys and Divas” in 2014! Until next time, I’m Jeff Heatherly saying…”What did you see, old man?“. Good reading, all!